In case you didn’t know, the Internet isn’t the most secure place in the world. Many folks think they’re anonymous on the web, or that their home network is privy to them and them alone. But nothing could be further from the truth. Did you know that folks can access your Wi-Fi from outside your home? Depending on your network’s signal strength, they could even be sitting in a car on the street outside your home, using your Wi-Fi signal to do all kinds of nefarious things. They don’t necessarily have to get into your network directly through your router itself; they can use devices that are connected to your Wi-Fi to get inside. Folks, these people can even view what you see on your webcams or monitors. Did you hear about the couple in Texas who discovered that hackers had been spying on their baby using the camera they installed in the baby’s room? Scary, scary stuff. Many devices come with default usernames and passwords that you’re supposed to change, but lots of folks don’t bother to do so. Leaving these default usernames and passwords on your devices is like leaving your front door wide open. Use a firewall between your Internet connection and the devices on your network as a first defense against intruders. The firewall typically can be enabled on your router, but that isn’t the only one you can enable. Computers usually have firewalls on them, too; consult your operating system’s Help sources for more information. Enable security protocols on your router when setting up your Wi-Fi. Be sure to use a robust password for connecting to the network, too. Many home automation devices that connect to your Wi-Fi network may not have any security features at all, which is problematic, to be sure. Be sure to ask vendors about security features included in their devices, as well as how to best set them up for your network. 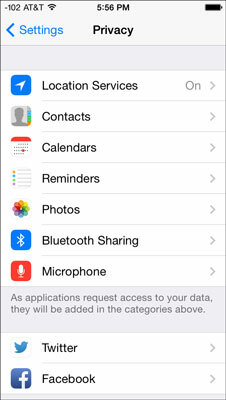 Turn on whatever network security and privacy functions your smartphones or tablets may feature, such as those in iOS. If you aren’t familiar with home network security, get up to speed on the subject or bringing in a professional who is. It’s creepy to think that someone could be on your network without your knowledge. Who knows what he’s doing on it or what he may be accessing? Log in to your router. If you don’t know how, consult the documentation that came with it or contact the manufacturer. Go to the section within the router software that shows what devices are connected to it. One at a time, turn off the Wi-Fi connection on wireless devices you’re using. When a device disappears from the list, you know it was the device you just disabled Wi-Fi on. One at a time, disconnect the network cable from computers or other devices that are wired to your router. As with wireless devices, when a device disappears from the list you know it was the one you just disconnected. After you’ve performed this inventory, if there are any devices in the list you can’t account for, you can feel confident that someone with bad intentions is connected to your network. Should you find devices connected to your network that aren’t authorized, consult your router’s documentation, or the manufacturer’s support team, for ways to block those devices from gaining access. It’s a good idea when performing this inventory of devices connected to your network to write down the names of each device. That way you won’t have to go through this routine every time you decide to perform this check.